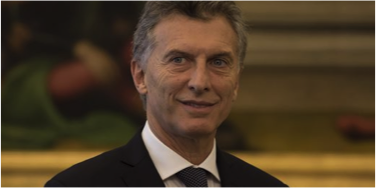 Recently, Mauricio Macri—a former successful businessman—was appointed President of Argentina. Right from the spot, he showed a managerial grit. Apart from stylized examples and anecdotal evidence, it is rare the case when we can study how politicians and managers behave in similar circumstances in cross-sectionally and longitudinally. American municipalities present an (almost) ideal setup for this. There is variation across U.S. cities in the form of government, with the two most common forms being Council-Manager and Mayor-Council (Levin and Tadelis 2010). In a Council-Manager government, a professional city manager—who is appointed by the city council—is responsible for administration. While the city council is generally prohibited from interfering with the city manager’s administration, the manager serves at the council’s discretion. The position of “mayor” in these cities is largely ceremonial. In some cases, the executive is the council itself under commission with the various tasks divided up among council members. In contrast, a Mayor-Council government consists of an elected mayor who serves as the city’s chief executive officer. These cities may also appoint a city manager, but the mayor maintains authority over city operations. Representative Town Meeting: Voters select citizens to represent them at the town meeting. All citizens may attend and participate in debate, but only representatives may vote. Given the differences between these forms of local governance, one would expect that political hazards should affect mostly elected mayors rather than appointed managers. For example, Coate and Knight (2011) and Vlaicu and Whalley (2016) showed that the form of city executive governance affects spending decisions. Moszoro, Spiller, and Aneja (2015) showed that elected mayors issue revenue bonds (subject to less public scrutiny than general obligation bonds) more frequently than appointed managers when political competition is tight. Coate, S. and B. Knight (2011). Government form and public spending: theory and evi- dence from U.S. municipalities. American Economic Journal: Economic Policy 3(3), 82–112. Levin, J. and S. Tadelis (2010). Contracting for government services. Journal of Industrial Economics LVIII (3), 507–541. Moszoro, Marian, Pablo Spiller, and Abhay Aneja. 2015. Political Bonds: Political Hazards and the Choice of Municipal Financing Instruments. NBER Working Paper No. 21188. Latest version available at: http://ssrn.com/abstract=2493554. Vlaicu, R. and A. Whalley (2016). Hierarchical accountability in government. Journal of Public Economics 134, 85–99. For a detailed account of the forms of municipal government, see: National League of Cities, http://www.nlc.org/build-skills-and-networks/resources/cities-101/city-structures/forms-of-municipal-government.